Midnight Mansion Forums - Blowin' my own trumpet ? 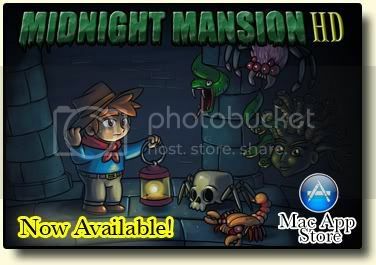 Midnight Mansion Forums › Discussions of approved MM1 and MM1 HD custom mansions (Mac and Windows) › Brother From Another Planet › Blowin' my own trumpet ? Re: Blowin' my own trumpet ? Stay in 17507, Catwoman, and try again. I am just absolutely stumped here. I have tried looking for a lever, dived to my death, jumped, tried to go down, up everything. I have been stuck for over a week and am finally giving up and stopping the game. I usually don't have this much trouble. Uncle. In 17507, the white brick next to the pole (make sure Jack jumps up there, too), is the way down. Thanks so much! I knew other people were getting past that and felt so dumb. only 76% secrets, though, but Jack needs a long rest after all of those difficult jumps before going back to try to find what he missed. many, many thanks Aquamat! another super fun, challenging mansion. really looking forward to the next one. for all the nice comments about BFAP - and congratulations to those who managed to finish it ! To all the others: Please don't lose faith.... ! Sorry if I haven't been around all that much lately and couldn't answer some of your questions personally. I was still busy with finalising the Trigger Island release version and also had a few other things to take care of. Sorry to announce that tomorrow I will leave for a 12-day trip to Frankfurt - and although I might be able to drop by from someone else's computer now and then, I won't be able to do much more in terms of problem-solving since I won't have access to my mansion files. But please keep on reporting - or asking questions.... !! Why is a carrot more orange than an orange ? I'm glad to hear you're still working on MM1 custom mansions. I often go back to the classic game because it's still so enjoyable, with so many CM's available to replay. Have a good trip, and hurry back to designing! Not sure why, but we left BFAP on save 5 a long while back, maybe couldn't find the way to go? Not sure, but it has been terrific these last few days finding our way through, and all the exciting stuff. I sure love an aquaMat Mansion !! !